Have you ever had a dream you were so close to achieving, only for it to be snatched away at the last minute? Hannah Mouncey has been through hell and back this week, all because she dared to dream to play women’s AFL at the highest level. Whether you think it’s fair she plays or not, it’s hard to argue that the agonising wait she had to endure just to learn of the AFL’s decision wouldn’t have been tough for her. Mouncey is a transgender athlete with a long-term love of sport. Before transitioning in 2015, she was playing in the Australian men’s handball team. She would then go onto play several games in the ACT women’s AFL competition in 2017. She had her sights set on entering the national competition. She had the skills, the knowledge, the passion. But her fate in the game was squarely in the hands of a group of AFL commissioners. And this week, they announced their decision. Mouncey was declared ineligible for the ALFW draft, and therefore denying her entry into the AFLW national competition in 2018. Hannah Mouncey. Image via Facebook. In a statement, the AFL outlined that their decision was based around the "maturity" of the AFLW competition and Mouncey&apos;s individual circumstances. They said Mouncey was involved in the process, and that they sought advice from the Victorian Equal Opportunity and Human Rights Commission’s guidelines. It is, of course, illegal to discriminate someone based on their gender identity. However, the act does include an exception, allowing for organisations to exclude a person if their "strength, stamina or physique" is relevant. Melissa Griffiths: The AFLW haven&apos;t told us enough. And this appears to be what the AFL counted on. In fact, the precise wording reappears in the AFL&apos;s statement: "The subcommittee carefully considered all of the information provided by Hannah, as well as the available data on transgender strength, stamina, physique along with the specific nature of the AFLW competition." What exact "available data" and "information" they looked at, we do not know. How her "strength, stamina or physique" would directly impact the game, we also do not know. These details were not shared. What we do know, is that the AFL has repeatedly committed itself to equality and diversity for "all Australians". All, except transgender athletes? I realise it must have been a tough decision for the AFL to make, however to me, this reeks of unfairness. The transgender community are victims of far more biased behaviour than many people will ever have to face. It&apos;s something that I, as a transgender woman, have to deal with countless times even on a daily basis, like being ignored by staff in retail stores, before being served second at a takeaway restaurant - even though I was first in line. So for Mouncey, the AFL&apos;s rejection would have just been in another in a long line of kicks in the gut. Mouncey is 100kg and 190cm tall. But evermore crucially, her testosterone levels easily meet the requirements. The Herald Sun reported that under IOC regulations adopted by the AFLW, an athlete&apos;s testosterone level should be below 10 nanomoles/litre. Mouncey&apos;s level is half this. Why is it that she was welcomed with open arms into the ACT league, but knocked back from the national level? For the AFL not to have released any clear guidelines on this is disappointing. Mouncey&apos;s details should remain private. But explicit guidelines should not. A precise set of rules outlining why an individual&apos;s perceived physical advantage should lead to their exclusion from a sport, is crucial to not only the public understanding, but also to help ensure such a drawn-out process doesn&apos;t happen again in the future. "Physique, strength and stamina," tells us very little. I only hope that one day soon common sense will prevail, and that clear-cut transgender guidelines will be released. At the very least, transgender athletes like Mouncey deserve that. Melissa is a Transgender Authority and advocate who lives in Melbourne. 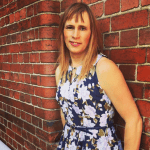 She is also an advocate for transgender rights, consultant, MC and keynote speaker who is finalist for Victorian LGBTI person of the year award. Melissa has raised a lot of awareness around how to make the workplace more inclusive for transgender people. Melissa has also gotten a gender identity policy introduced at the Victoria Racing Club and Melbourne Racing Club in 2015. You can contact Melissa by clicking here.